Are you looking for an easy, painless way to permanently whiten your teeth? Getting custom-made Lumineers® at Dr. Alexander Visot’s Woodland Hills, California, office may be the solution for you. Lumineers are a thin, shell layer placed over your natural teeth that whiten and reshape your smile to give it a touch of Hollywood glamour. They don’t require Dr. Visot to grind down your teeth in a painful procedure like with applying traditional veneers. Call or click today to set up an appointment to learn more. Lumineers are modern, innovative veneers placed over your teeth to simulate the look your natural teeth. They’re very translucent and look like natural enamel but can add a sparkly, white layer to give you a Hollywood-worthy smile. Traditional veneers are thick, clunky and require grinding your teeth down to make room. Lumineers are thin, so Dr. Visot doesn’t have to grind down your teeth. Both porcelain veneers and Lumineers can improve the look of discolored or misshapen teeth, but there are some key differences between the two. For example, Lumineers don’t require any preparation of the existing teeth; your teeth don’t need to be shaved or reshaped, and you don’t need anesthesia. Porcelain veneers, on the other hand, may require your natural teeth to be shaped somewhat before being applied, and you’ll likely need sedation. Porcelain veneers are considered a more permanent solution, and, in some cases, can correct your bite and the alignment of your teeth. Lumineers are permanent as well, but they don’t correct the alignment of your teeth. Additionally, you can have Lumineers removed later if necessary, and your natural teeth are still preserved. Another significant difference in the two is color. 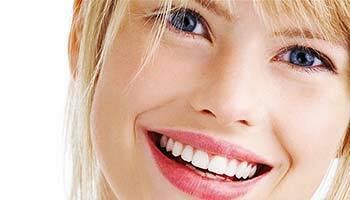 Lumineers come in one color -- a bright, sparkling white -- while porcelain veneers are more customized. The thinness of Lumineers may be seen as both a pro and a con because it allows for a natural look, but severe discoloration may show through. Both porcelain veneers and Lumineers have advantages. Dr. Visot will make a recommendation as to which would be best for your smile. Is it painful to get porcelain veneers or Lumineers? No, neither procedure is painful. From the moment you get them fitted, there’s no discomfort or heightened sensitivity. They’ll be a perfect fit and serve as a permanent way to reshape and whiten your teeth. Can I still eat most foods with porcelain veneers or Lumineers? Yes, you can. Lumineers are incredibly durable, and if you have them, you can still eat your favorite sticky foods and chew gum, just like you did before. It’s important to know, however, even though Lumineers and porcelain veneers make your teeth look whiter and brighter, you still need to practice good oral hygiene. After the procedure, protect your new smile by brushing twice a day and flossing daily. You should also maintain your regular checkups with Dr. Visot.